I’m a Friend. I’m a volunteer. I’m both? We all know the important role that Friends and volunteers play in helping the FWS fulfill our mission. However, it can be a little confusing between the roles Friends play and the roles volunteers play and how they sometimes seem to overlap. It can be hard to understand why it even matters when it comes to certain situations and scenarios. In this webinar, we’ll provide answers to some of the most-asked questions we’ve received from Friends to help you navigate those pesky gray areas. Joanna has worked for the U.S. Fish and Wildlife Service for almost 30 years. She spent more than two decades working on numerous national wildlife refuges along the eastern U.S. coast in both biological and visitor services roles and the last six years in the Refuge System’ headquarters as the National Friends Coordinator. She is a team member in the Division of Visitor Services and Communications and works with a team of regional coordinators to support nonprofit “Friends” partnerships at the field level. Her role is to build active and vibrant Friends-Service partnerships at the local level through the development and implementation of national strategic plans, leadership training, networking workshops, policy, grant program, and a mentoring program. 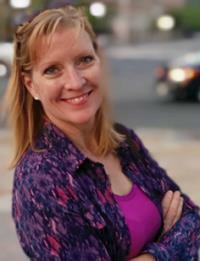 DC has been the Visitor Services Planner in the NWRS Pacific Southwest Regional Office in Sacramento, California since 2010. 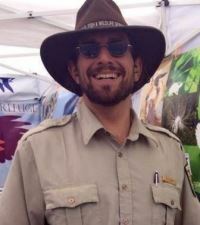 Prior to joining the Service, he worked as a park ranger, maintenance worker, and as a volunteer coordinator for the Bureau of Land Management, National Park Service, and U.S. Forest Service. His first federal permanent position was in the Presidio of San Francisco, where he gained experience working in an urban national park. He has on-the-ground experience in visitor center design, trail design and construction, river recreation management, and wilderness management. Space is limited. Please register through the button at the top of this announcement. If you are unable to attend the webinar, a recording will be available on the National Conservation Training Center's webinar gallery shortly after the webinar. Please be sure to open the event in an Internet Explorer web browser.